For the most part, The Imitation Game avoids falling into the predictable traps of overly glossy biopics. 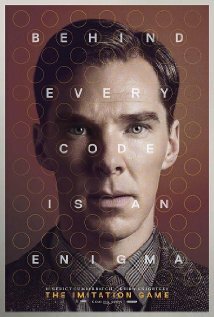 This is mostly due to the fact that the film’s focus isn’t as much on genius cryptologist Alan Turing (Benedict Cumberbatch) as it is on Germany’s unsolvable Enigma Code, and the race against time to crack it. The film smartly weaves in Turing’s childhood and current day into the World War II storyline, which not only holds your attention throughout the whole film, but also makes Turing an obvious parallel to the frustratingly-hard-to-figure-out machine. The team consists of Britain’s top genius code-breakers (most who were selected by Turing via a near-impossible crossword released in the paper), who determine that it would take them roughly 20 million years to try every possible code on the Enigma—that is, if the key to the machine did not completely change every day at midnight. Turing rightly determines it would be impossible for human minds to keep up and crack the code, so he begins his work on his own machine—what would eventually become the world’s first computer (which Turing names after his childhood love, Christopher). As Turing slowly learns to work with others and not alienate his team, he forms a close bond with the brilliant Joan Clarke (Keira Knightley), resulting in an eventual engagement. Because homosexuality was at that time illegal, he was able to hide behind his platonic relationship with Joan. The plot is engaging, and even borders on exciting at certain points. Its biggest issue, though, lies in its final chapter. The gloss and cheesiness that had been mostly avoided throughout the film overflows in the final twenty minutes, making it hard not to roll your eyes a few times. Cumberbatch certainly carries the film with his sure-to-be-nominated performance, making the rest of the cast’s roles seem mild. If you can stomach some of the overly emotional bits, Imitation Game is an extremely enjoyable plot thanks to its true history. The Imitation Game opens in Philly area theaters today.